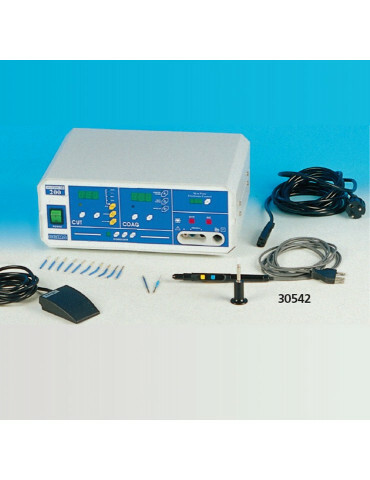 Electrosurgical units suitable to perform middle monopolar or bipolar electrosurgery. 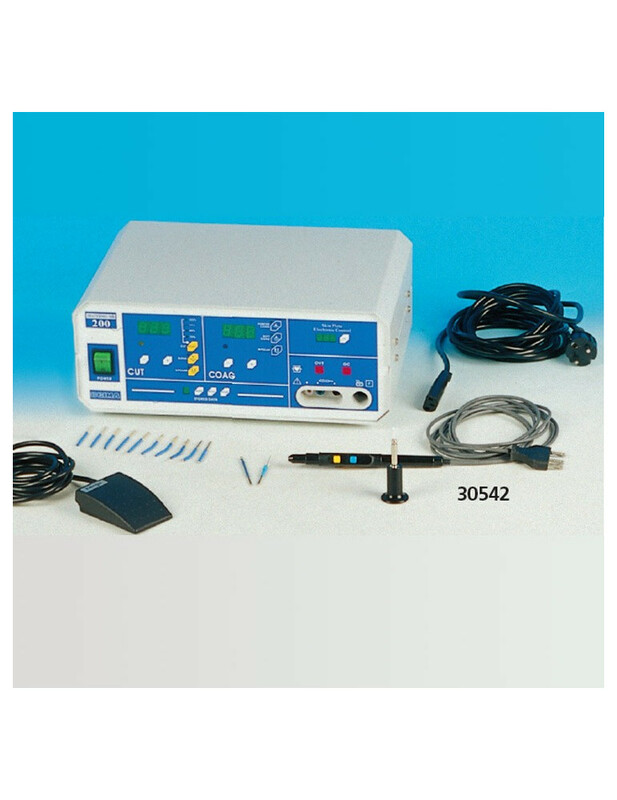 MB 200 are HF electrosurgical units suitable to effect middle monopolar or bipolar electrosurgery. 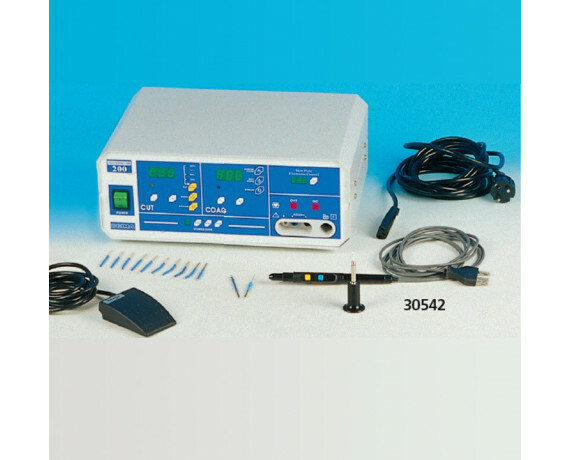 The available waveforms and peak voltage value, as well as the accurate HF leakage current operation for polypectomy, TURP, intrauterine resections, endometriosis excision, etc. 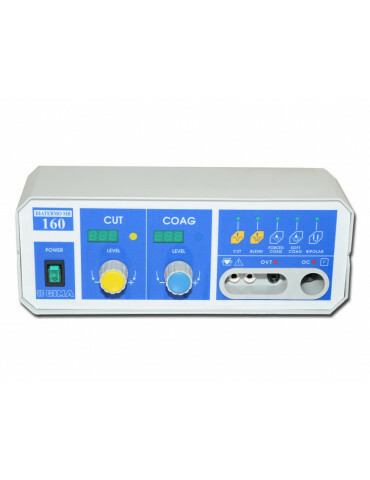 The units allow the accurate preset of the output power with as low as 1 Watt resolution and to perform coagulation with high crest factor current, to get an elevated thermal effect, as well as with low voltage low crest factor current, to get coagulation in absence of carbonization. Ten different programs related to ten different operative conditions could be stored and easily recalled by the surgeon. The use of either split or normal neutral plates are allowed. 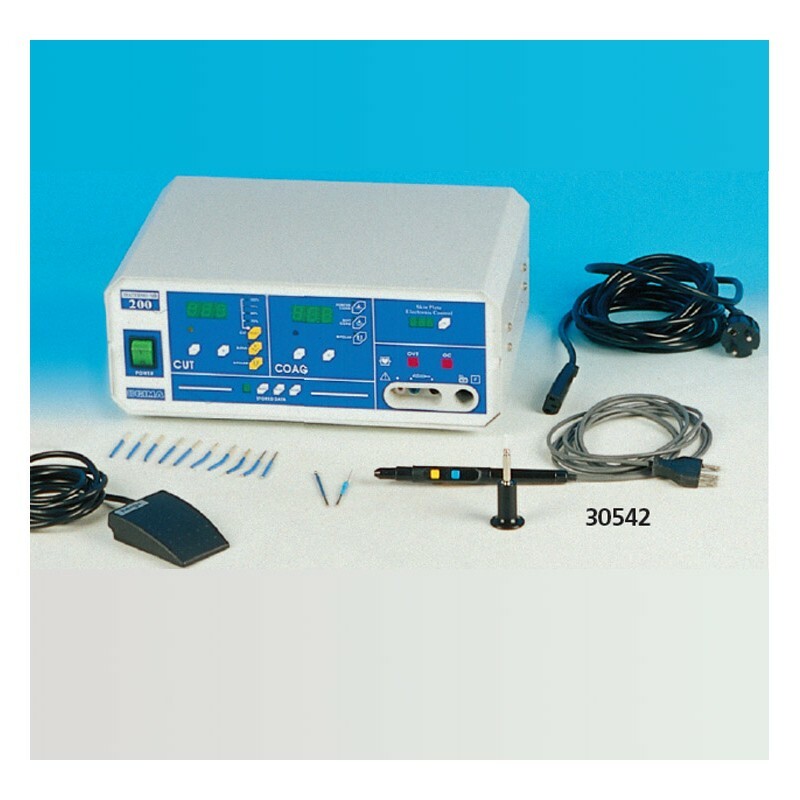 A special electronic circuit (Skin Plate Electronic Control) continuously warns the plate to patient contact safety and unwanted short circuit in the connecting cable. 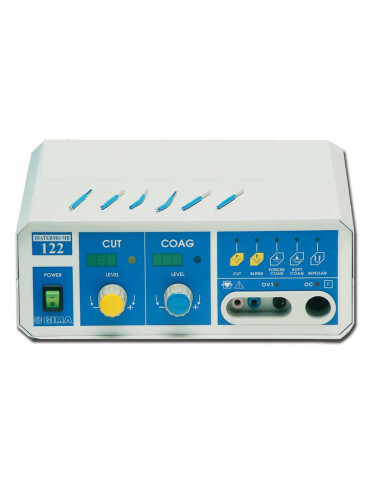 An over time warning (OVT) is provided to prevent excessive heating of the tissue around the surgical target due to too long current delivery time. The output pulse can be automatically repeated 1 to 250 times. The presetting of the current delivery time is propre for collecting of bioptic samples and for microsurgical dermatologic operationy like treatment of telangiectasias, spider nevus, angiomas, efc. 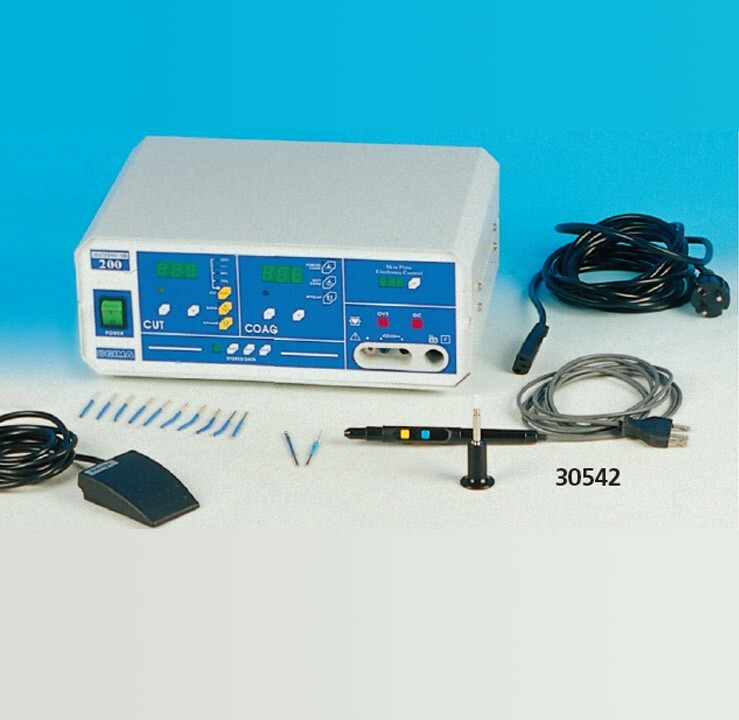 Bipolar cable and forceps are not included in standard specifications.